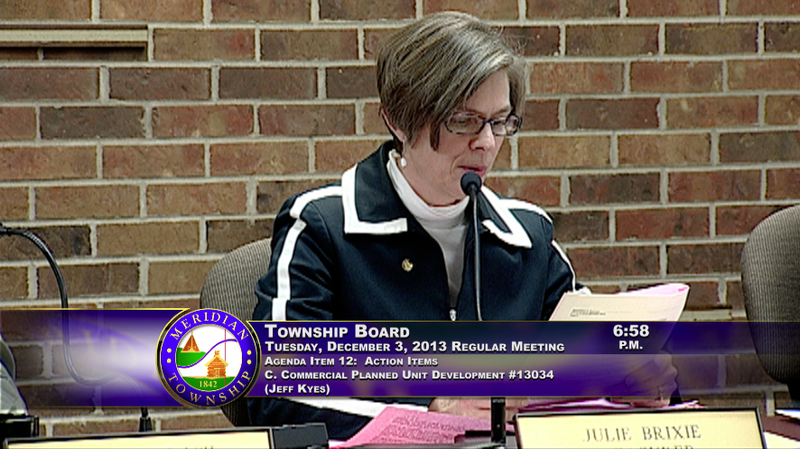 MERIDIAN TOWNSHIP - The request to establish a Meridian Mall C-PUD and a request to add approximately 19,000 square feet on to the mall was approved at the last Township Board meeting. This includes the approval of the following proposed amenities: public seating benches, covered bike racks, planters and open space. The addition onto the mall will accommodate two new clothing retailers, H&M and Gordmans. Meridian Township Treasurer, Julie Brixie said: "So much of our commercial part of the township is really dependent on the regional shopping nature of Meridian Mall. It draws a lot of people to the area and a lot of people who are in the area then go and frequent the other businesses that are around the mall." KEBS, Inc will begin the project and Engineering Vice President, Jeff Kyes addressed the board's final questions at the meeting. Meridian Township Julie Brixie moved to approve this project and the board voted 7 to 0 in favor of the request.